Book in One Word: Cute. 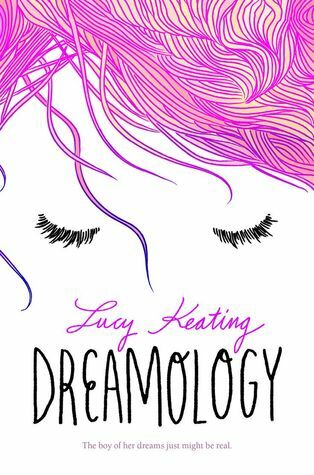 Dreamology is a book that first grabbed my attention with it's bright and beautiful cover. Then I was interested in its premise, because what isn't interesting about a girl who dreams about a boy and then suddenly that boy is real? I finally picked it up when I asked Twitter what to read and everyone was all "Dreamology Dreamology DREAMOLOGY." That, coupled with five-star reviews praising the excellent fluff of this book, had me excited and ready to read a book that I would fall head over heels for. Except that I didn't. This is in no way a bad book. I wouldn't even say that I disliked it. I think the problem is that everyone seems to love it and I don't understand why. At the core, Dreamology is a simple and cutesy novel with a unique concept, but it was too simple and there wasn't enough to create a complete, solid story. I'll start with the basis: In Alice's dreams, her and Max are madly in love and basically the cutest couple ever and they go on the most whimsical, dream-fueled adventures ever. Max feels real to Alice, even though he isn't. Until he is. He's not quite the same as Dream Max, but he's still Max. There is, of course, an explanation behind all this, and perhaps it's logical, except that I don't even know what the explanation is. Yes, there was one, but it wasn't even explained--the what and the how and the science of it--and therefore I'm not really buying it. My other issue of sorts resided within the romance(s). And honestly, I'm not sure why Alice is so gung-ho about Max when she could have Oliver. (More on him later.) But, like, here's the deal: Alice may be a little too stuck in la-la land. She didn't know Max was real, and he didn't know she was real, either. So can she really blame him for having a life without her? NO. Even then, the two of them together in the real world was a little too much and a little too fast (though I didn't dislike it, really), because this is the real world, not the dream world, and things are different. And really, I just thought that Alice would be better off with Oliver. Or maybe I'm just getting really snobby with books lately when they aren't as detailed and fleshed out as I'd like. I would like to reiterate again that Dreamology was not a bad book, and that I did not dislike it. I think I just had higher expectations for it and I've been getting really picky with books lately when they play it safe and don't give me everything. (Maybe because I'm getting older? Am a damn writing major?) I just don't understand how nearly everyone is loving the hell out of this and I'm just sitting here like "bah bah black sheep." 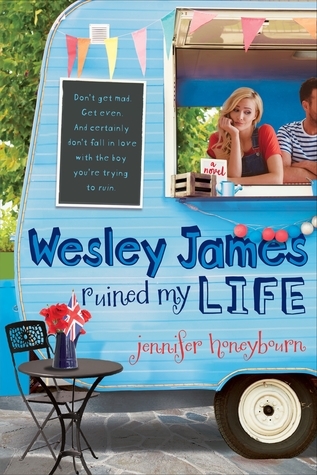 I will say that this book was nice and light and fluffy and fun, which I love, and it's a quick, fast read and a bit of a page-turner, which I also love. The romance and dreams were cute, and sometimes it just feels good to read a book like this. The concept behind Dreamology was SO COOL, but it's like having a really good, amazing dream and then waking up and only remembering fuzzy bits and pieces--it's not all there and it's not enough. Did I like it? Yeees. Would I reread it? This is unlikely. Would I purchase it? Off the clearance shelf, but I wouldn't spend full price on this and I don't really need it (except for that pretty cover). Who would I recommend it to? People who are fans of fluff, romance, unique concepts, dreams and imagination, and favorable secondary characters.